Reliable, high quality and ultra-low latency live video from any mobile phone, even in poor network conditions. Allow everyone in your staff to broadcast live video or upload photos straight from their phones. Distribute the Bambuser app inside your organization, no heavy backpacks necessary. Easily get the content into your own system or forward to third parties (RTMP or SDI). Use built-in chat or two-way audio to direct reporters in the field from our web based content manager. Integrate live streaming into your company's app and start gathering UGC. Our off-the-shelf app lets your reporters start live reporting without added hardware costs. Ready to be rolled out in minutes, our app allows your team in the field to upload live or recorded video and photos to your editors. With just a simple 3G/4G connection you’ll get ultra-low latency video in up to HD quality that you can publish through your usual workflow. 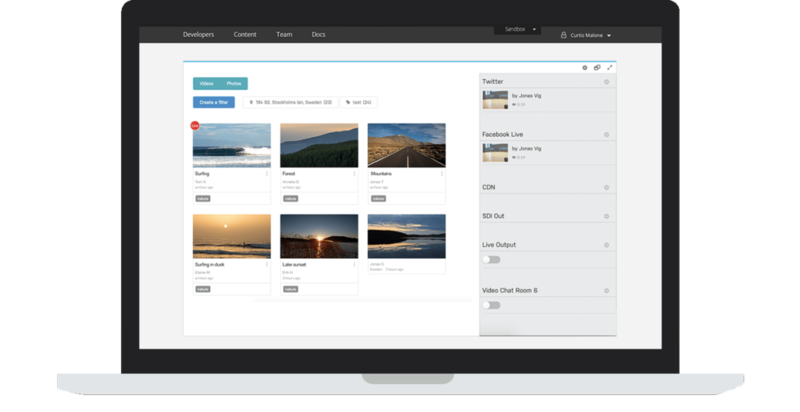 Our cloud-based content manager has been created with news and media broadcasters in mind to enable you to quickly manage incoming video and image content (produced via the Bambuser broadcasting app or RTMP) for publishing across your network. The intuitive interface allows for easy discovery of incoming live or recorded videos from either staff or audience. We integrate seamlessly with RTMP or SDI for easy publishing via your usual workflow or through other channels like Facebook Live and Twitter. Using our built-in chat and talkback features you can interact and direct reporters in the field in real-time to make sure you get the right shot. 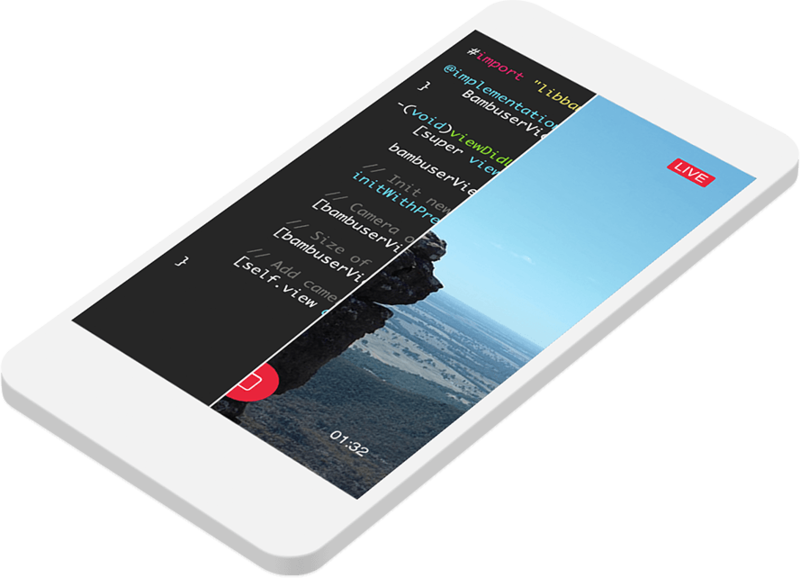 Our easy to integrate white label Broadcast SDKs will allow you to quickly enable users of your own app to record live video just like your reporters. Use our APIs to get your broadcasts integrated into your existing backend (see documentation). All standard plans include full access to the Bambuser product suite; infrastructure, SDKs, content manager, broadcast app, etc. The first seat to the content manager and broadcast app is always included free of charge, after that per-seat pricing applies.